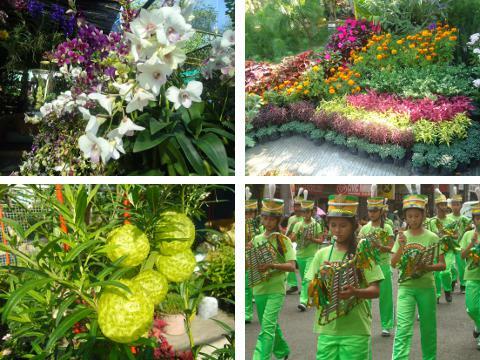 Davao City is famous for the Kadayawan Festival but there is another annual event that’s worth coming to the city for. Just in time for the beginning of summer in the Philippines, Davao City celebrates its charter anniversary through Araw ng Dabaw’. Once a single-day affair, the celebration has evolved into a month-long series of events, concerts, trade fairs, pageants, mall sales and other fun-filled activities. 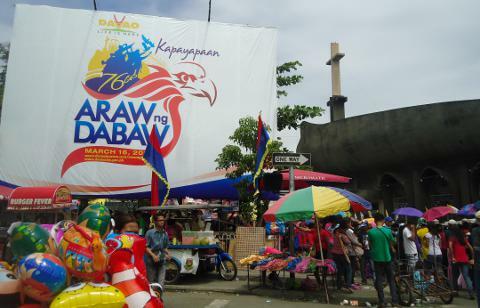 I was born and raised in Davao City but I am ashamed to admit that I have never joined in the festivities during Araw ng Dabaw or Kadayawan until recently. I thought the crowds will just swallow me up and I’d suffer from painful sunburn. But I immensely enjoyed dancing with the crowds during Kadayawan 2012 that I decided to see what’s going on in this year’s Araw ng Dabaw. Sayawan sa Da’n (Dance in the Streets) was held on a Friday, much to everyone’s surprise. For as long as we can all remember, street dancing was held on a Saturday; we’ve always gathered in front of the TV to witness the activity since I was a kid. I personally think the street dancing competition was a case of bad timing this year; there was not a lot of people to applaud the dancers because everyone was either at work or in school. I missed the entire event and only learned about it from the afternoon local newscast. Come Saturday, off I went to San Pedro Street, the center of everything that’s happening. There was a lot going on at the same time. Parada Dabawenyo was ongoing when I arrived; Roxas Avenue and San Pedro Street were packed with spectators and food vendors. Music was blaring from loudspeakers scattered all over and an occasional float (haphazardly decorated) passes by in between contingents from different companies and sectors of the government. And since it is campaign period in the Philippines, I didn’t fail to notice posters and banners bearing names of electoral candidates. Taking advantage of the moment, eh? 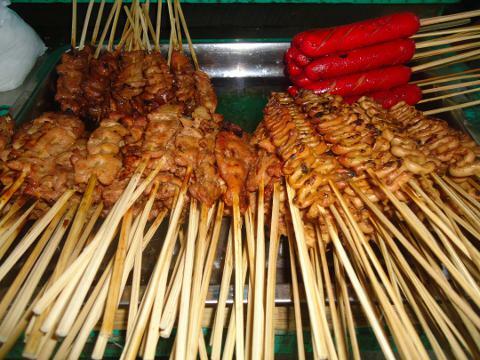 I saw some stalls selling my favorite isaw (chicken intestines on a skewer) so I stopped and had some. 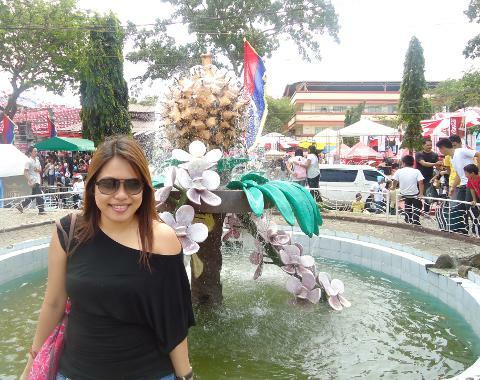 There was nothing much to see and do after that and taking some photos in front of City Hall so I boarded a jeepney to SM City Davao where the Agri Trade Fair was. Of course there were lots of durian, pomelo, mangosteen and waling-waling on offer. After having my share of fruits, I took a cab to Abreeza Mall. It was my last stop for the day; I was getting exhausted from all the walking and heat was draining my energy. There were a lot of people at the mall because a famous actor was going to grace the stage in the afternoon. But I wasn’t there for the movie star; I was keen on checking out the Bone Collector Museum’s display. There are several large cases containing skeletons of dolphins, a race horse, an ostrich with a chick and an orangutan, among others. It was fascinating; the animals looked really huge even after death and decay. 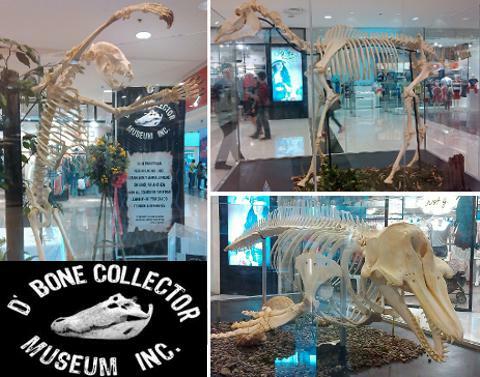 I immediately thought of the recently deceased Lolong, the croc, and wondered how his skeleton would look like. All in all, the 76th Araw ng Dabaw was not all I expected it to be. I was expecting bursts of color and ethnic music but I guess the all the grandeur is saved for the Kadayawan in August. Nevertheless, I enjoyed myself. It’s not every day that I endure walking under the heat of the summer sun to see the city in the eyes of a tourist. It was a fun and rewarding experience. Did you go to Araw ng Dabaw 2013? Have you been in other years? What did you think of the event? Let us know in the comments below.